When we hear or see the term MRSA, we think of outbreaks in hospitals and nursing homes. But MRSA can be a problem anyplace people work and live in close quarters. According to the CDC, one in three people carries staph bacteria. It lives on the skin and in the nose. The CDC also reports that approximately one in 50 people carry MRSA. In the United States, cases of MRSA are responsible for about 90,000 serious infections and over 18,000 deaths per year. Infections should not be ignored, as they can spread quickly to cause pneumonia, bloodstream infections, sepsis, and in very serious cases, loss of limbs or death. 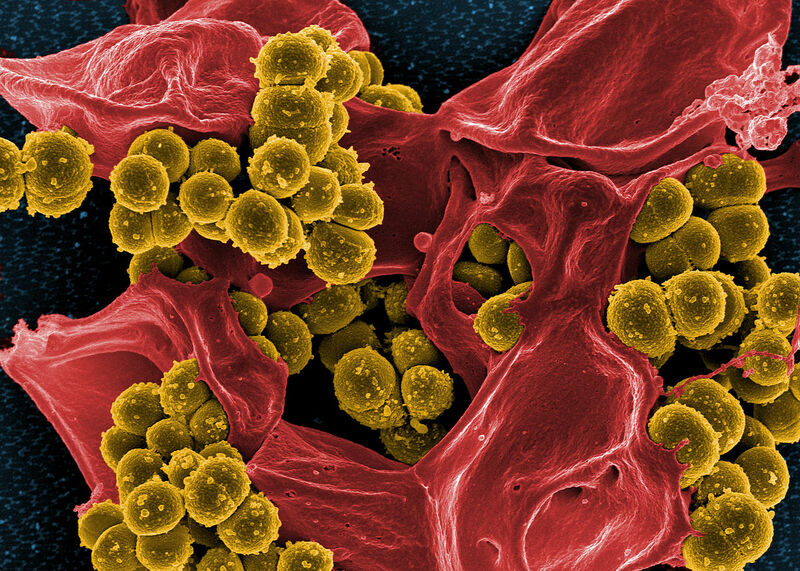 MRSA is short for methicillin-resistant Staphylococcus Aureus, or any strain of staph bacteria that has become resistant to antibiotics. The very same class of antibiotics that were once used to treat these infections are no longer effective due to the mutation of the bacteria.